NLU Assam Recruitment 2019: National Law University and Judicial Academy, Assam (NLUJAA) / www.nluassam.ac.in is conducting recruitment processes to fill 1 vacancy. As of now, there is one recruitment drive going on for Accountant Post. NLU Assam Recruitment 2019 - Walk in for Guest Faculty of Law Post in NLU Assam, Guwahati, Assam on Contract Basis. 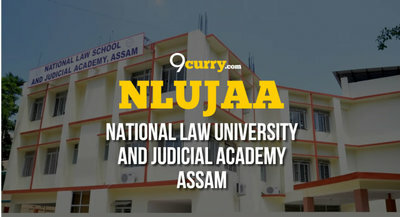 Candidates are invited by National Law University and Judicial Academy, Assam (NLUJAA) to attend walk-in-interview to be held on 19 Mar 2019 at 11:00 AM for 1 vacancy. NLU Assam Recruitment 2018 - Job notification for Research Associate Posts in NLU Assam, Guwahati, Assam on Contract Basis. 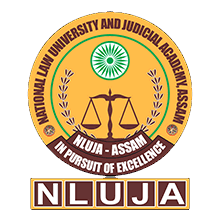 Applications are invited by National Law University and Judicial Academy, Assam (NLUJAA) on or before 04 Jan 2019 til 11:30 PM for 2 vacancies. NLU Assam Recruitment 2018 - Job notification for Hostel Warden (Male) Posts in NLU Assam on Contract Basis. Applications are invited by National Law University and Judicial Academy, Assam (NLUJAA) on or before 25 Jun 2018 04:00 PM for 2 vacancies. NLU Assam Recruitment 2018 - Job notification for Research Associate Post in Centre for Child rights, NLU Assam, Assam on Contract Basis. Applications are invited by National Law University and Judicial Academy, Assam (NLUJAA) on or before 23 Jun 2018 for 1 vacancy. NLU Assam Recruitment 2018 - Job notification for Research Fellow Post in NLU Assam, Bhopal, Madhya Pradesh on Contract Basis. Applications are invited by National Law University and Judicial Academy, Assam (NLUJAA) on or before 21 May 2018 for 1 vacancy. NLUJAA Vacancy 2018 - Job notification for Research Associates & Accountant Posts in NLU Assam, Assam. Applications are invited by National Law University and Judicial Academy, Assam (NLUJAA) on or before 25 Apr 2018 for 2 vacancies. NLUJAA Vacancy 2018 - Job notification for Assistant Professor Posts in NLU Assam, Assam on Regular Basis. Applications are invited by National Law University and Judicial Academy, Assam (NLUJAA) on or before 18 Apr 2018 for 3 vacancies. NLU Assam Recruitment 2018 - Walk in for Research Asst Post in NLU Assam on Temporary Basis. Candidates are invited by National Law University and Judicial Academy, Assam to attend walk-in to be held on 12 Feb 2018 11:00 AM for 1 vacancy. NLU Assam Recruitment 2018 - Walk in Interview for Assistant Professor of Law Vacancy in NLU Assam, Assam on Temporary Basis. Candidates are invited by National Law University and Judicial Academy, Assam to attend walk-in-interview to be held on 02 Feb 2018 at 10 AM for 1 vacancy.